With unique distressing, that leaves the grain slightly raised, to the solid mango wood there is a real difference to this bedside. 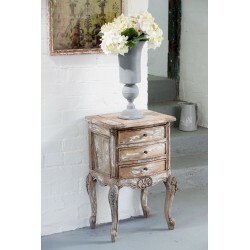 With this in mind you can use it in a living room, conservatory or hallway not just a bedroom. The solid wood gives this piece a long lasting strength while the distressed finish is set off by the gentle curves of the legs and carving. 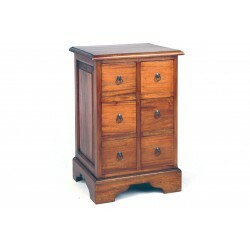 The two simply adorned drawers are a really good size for keeping all the little bits of life tidy. 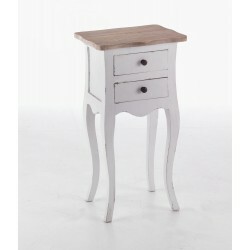 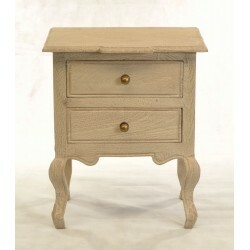 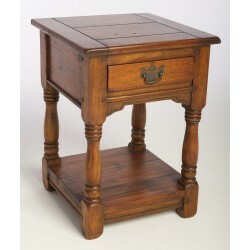 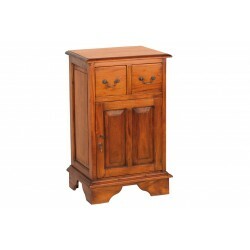 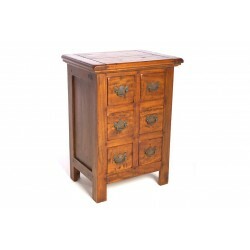 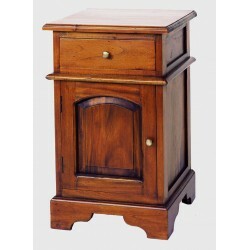 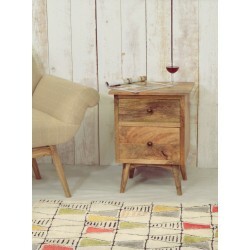 Overall this bedside or side table is a delightful and useful piece for any room.